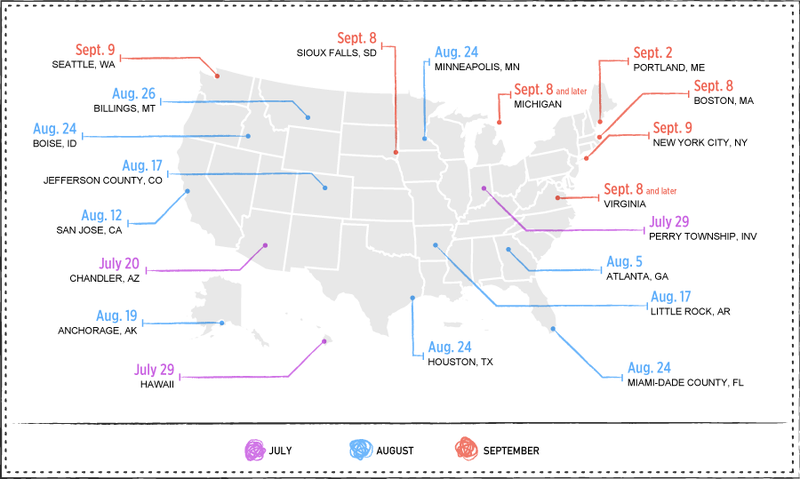 September is just around the corner, and Labor Day cookouts are mere days away. While this celebration marks the relative end of the summer, for the kids in your life, it also means it’s time to go back to school. Emotions are high this time of year. Kids want to make a good impression, sporting the latest fashions and newest gear to impress their friends. Their parents, in turn, want to make sure they’re prepared with enough food and the right supplies to make it through their day. Brands should be equally energized. Back-to-school season is a big deal in this country: This year, retailers are expected to see roughly $828 billion in sales during the back-to-school season, and that number is only expected to grow. Right now the only retail holiday bringing in more cash in the U.S. is the so-called “winter holiday” where holly jolly gift-giving frenzies dominate buying patterns. So when does this holiday officially start? Some brands begin their marketing campaigns as early as July, not long after those Independence Day fireworks fizzle out. That’s partly because there’s no standard school start date in the U.S. Some districts in Arizona, for example, begin as early as mid July. Students in Boston, however, won’t be boarding their school buses until early September. As you can imagine, with a season this long and diverse, marketing campaign timing becomes a tricky prospect. But there are a few patterns to consider: In July, things like clothes and footwear peak, as do supplies like binders, pencils, and notebooks. By the time August rolls around, food and snacks take the top spot. And when shoppers are out buying these things, there’s one major factor influencing their purchase decisions: an unyielding desire to find the best price. Both online and off, parents have become deal-hunting machines. In fact, 62 percent of them say they expect to pay less this year than they did last year. Many of these bargains come in the form of coupons, with the vast majority of them found online. About 89 percent of parents say the availability of mobile coupons determines where they shop. Once in a store, about 33 percent of shoppers will be actively searching for coupons while perusing the aisles. In addition to finding coupons online, more parents are actually buying their kid’s school supplies online too. This year, e-commerce is expected to jump 15.3 percent and account for roughly 7.9 percent of back-to-school sales. While 7.9 percent may not sound like that much, having a digital presence is still essential for brands. Here’s why. It’s estimated that 36 cents of every dollar were influenced by a customer’s experience with a brand online. When researching most any back-to-school item, parents will rely on a mixture of online and offline experiences to influence their purchase. An eventual decision will likely be made after a combination of seeing traditional advertisements on TV, interacting with a brand online, and even viewing a product in a store. Shoppers who follow an omni-channel path-to-purchase are shopping more frequently and are spending 3.5 times more than other shopper types. Half of shoppers are doing a practice called “showrooming” where they basically look around the store for the products that they want, then go home and buy those items online. Blogs and other types of social media are now generating as many purchases as the traditional methods like magazines and television. In fact, an estimated 27 percent of shoppers say they plan their shopping lists on Pinterest. 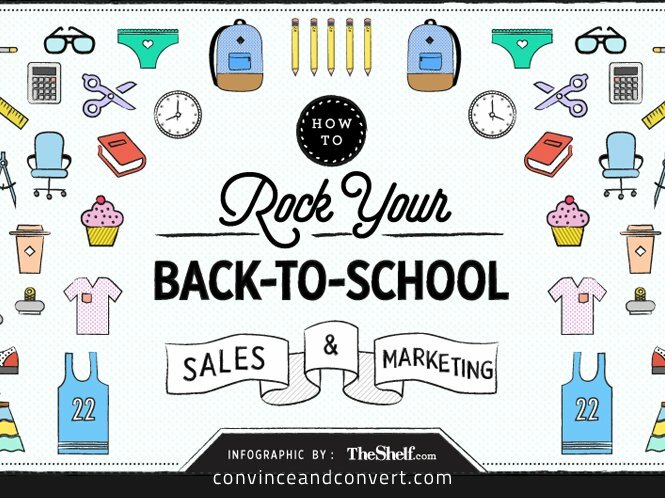 Want more insights on how to harness the power of the back-to-school season? Read on for more stats and facts about how the market is changing in this infographic from The Shelf.